What Effect Would French Cars Have on Our Automotive Landscape? They have a certain moxie to them. A unique panache that lacks in German, Japanese, and American autos. Their charisma keeps spirits high, as do their flaws — and that’s okay. We kind of want that, don’t we? We want their character as well as their moody behavior! In light of Alpine’s latest sports car, it brings to mind the rest of Renault’s sporty models, and Peugeot too. If we had them over here in the States, they could really shake things up for the staples in American automotive culture. First off, would they sell? Is there even a place in our market for fickle machines that could completely go wrong at any given time? Well, to put it simply, I’d say yes. We get bored with our selections here. As far as sports cars go, all of the established models have become mundane. You’ve heard it for the past few years from consumers and journalists alike, saying that the best selling cars we have right now have become “tamed” as well as “monotonous”. You wouldn’t have that problem in this case. The French do hatchbacks unlike anyone else. We’ve seen the likes of Top Gear rave about the Renault Megane and Clio RS, going on about their quirky nature that’s given the cars a name for themselves over time. 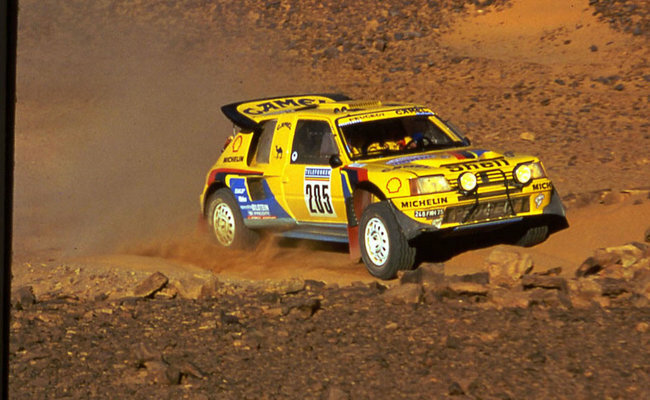 And who can forget the fabled Peugeot 205 T16 from Group B rally? You know, the mid-engined hatch that challenged legends like the Audi Quattro and Lancia Delta Integrale! These cars are all truly radical in terms of design and concept, pushing the boundaries unlike other manufacturers that play it safe with their go-to models. By adding a little bit of French charm, we could have a resurgence of edgy performance. And who doesn’t want that? Lastly, they could bring back a definitive nostalgia that we’re missing today. We want that old style in a new shell, melting together modern technology with the classic experience. Alpine’s new Vision concept is basically a contemporary A110, the storied car that won the Rallye Monte Carlo two years in a row. It’s set to become real competition to the likes of Porsche, Lotus, and Alfa Romeo, giving the manufacturer another sense of relevancy on the global market. It could be the stepping stone towards the introduction of more models in the United States, at least we certainly hope so. So, to answer the question, it could shake things up in a positive manner for consumers — and perhaps negatively for other manufacturers. They would introduce a fresh enigma to our somewhat washed-out performance market, bringing back the spirit of old European autos that we tend to obsess over. Does the new Alpine Vision concept spell out a return for the French company, or are they simply testing the waters? We’d like to think it’s a step in the right direction for both our sake as well as theirs.